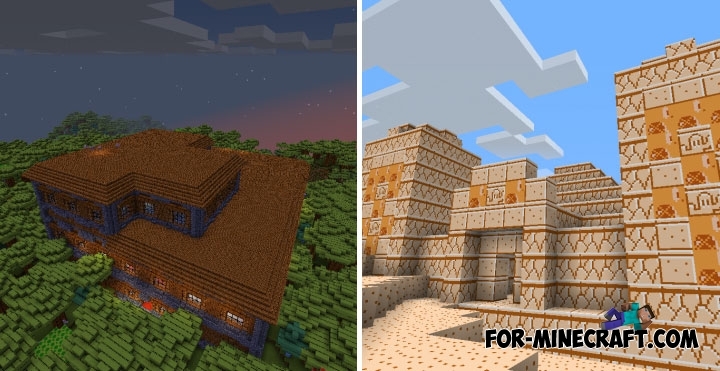 This is a huge texture pack that affects almost everything that shapes the worlds in Minecraft PE. 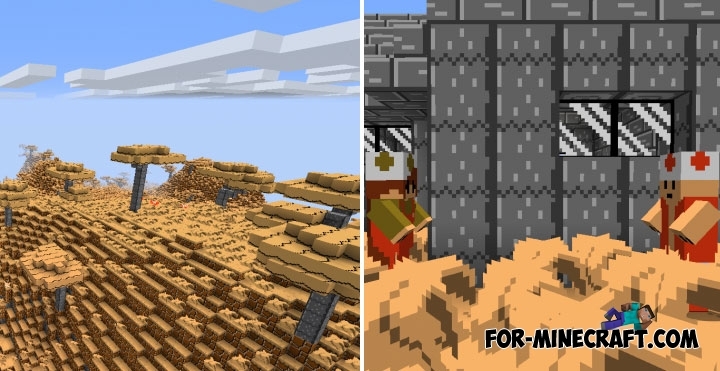 Now the fields, forests and mountains look like you started Super Mario. If you at least once played this console (and then released for all platforms) game then remember how the levels look. They are bright enough and use a wide palette of colors starting with light green and finishing bright red. Compatibility with MCPE 1.2.14 (1.2.13 also for iOS, Android, Win10). Some textures are slightly modified and new ones added for new features. 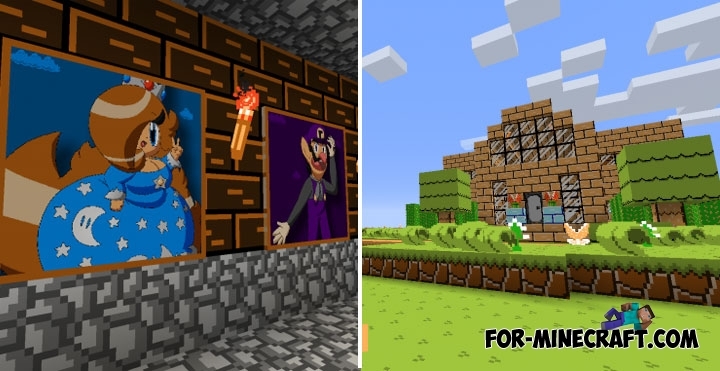 This texture pack is focused on the transformation of vanilla cubical worlds into the universe of Mario and his friends. 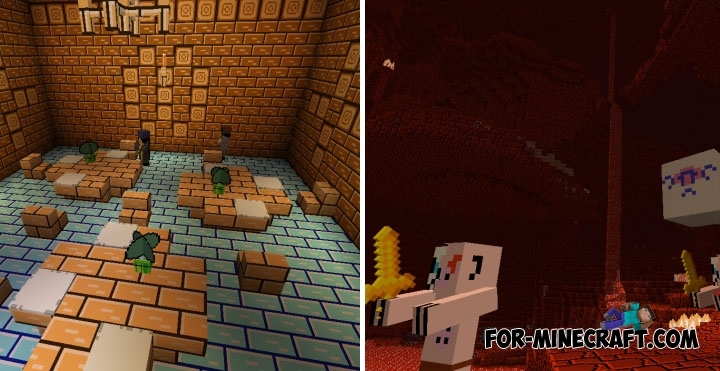 There is a ready-made and very cool map for MCPE based on the game with the configured command blocks. How to install Super Mario?